Aston Villa’s trip to the New York Stadium on Wednesday evening to face Rotherham United in our latest Championship clash was always going to be a tough and tricky affair. Head coach Dean Smith would’ve have expected such a woeful refereeing performance though. 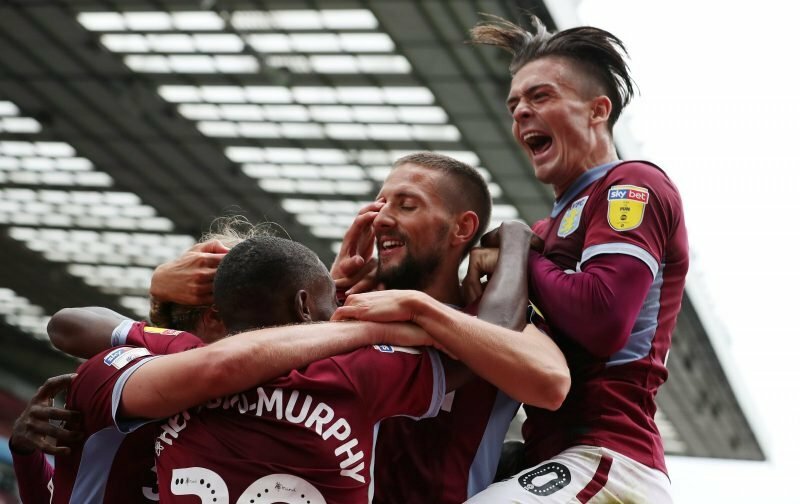 Having missed a penalty, then conceded a penalty and found ourselves down to ten men, Villa rallied in the second half and goals (a penalty – notice a theme) from Jonathan Kodjia had us back on level terms, and then Jack Grealish topped things off to score the winner and ensure a quick final 45 turnaround. 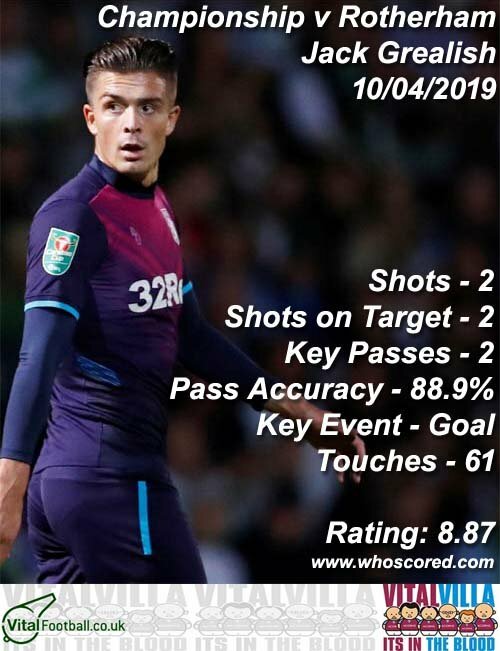 Statistics website Whoscored rated the players pretty well after our comeback, but Grealish stole the show with a star man rating of 8.87 to take Man of the Match. Following in second place was substitute Mile Jedinak (7.69) and completing the top five best performers in their eyes were Conor Hourihane (7.59), Ahmed Elmohamady (7.48) and John McGinn (7.38). Many fans would’ve given MotM to McGinn in fairness but there you go. Jonathan Kodjia and goalkeeper Jed Steer also received plus-seven scores for their efforts. Seven wins on the spin and now we’re breathing down the necks of West Bromwich Albion, with Bristol City to come this Saturday.